Termites commonly live in wooden structures such as decayed trees, fallen timber, old tree stumps, or soil. 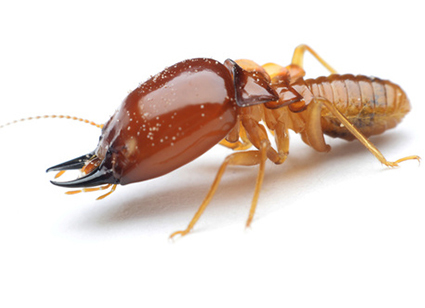 They are often referred to as the “silent destroyer” because they can secretly live in your home or yard without any immediate signs of damage. Some warning signs might be cracked/bubbling paint, wood that sounds hollow, temporary swarms of insects around doors and windows. Termites feed off wood, so when left they can destroy decks, wood fences, or your home’s foundation.